This long sleeve t-shirt is made of 100% preshrunk cotton and has double-needle stitching throughout. 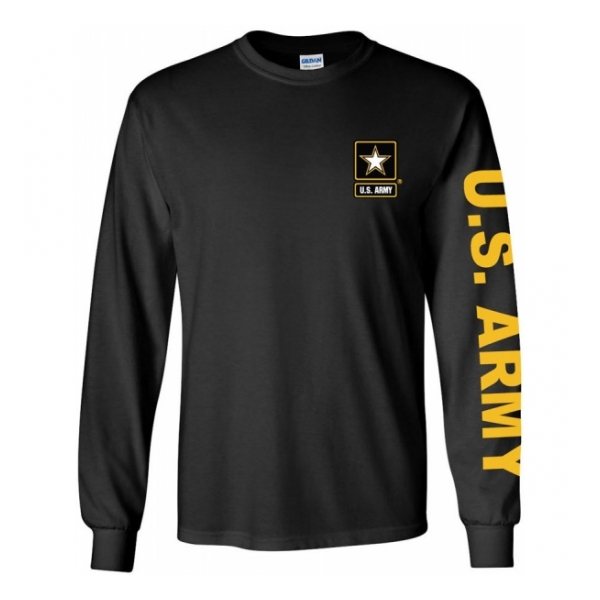 Designed with officially-licensed, 3 color Army logo on the left chest and "U.S. ARMY" running down the left sleeve, complete with Rib cuffs. Officially licensed by the United States Army. 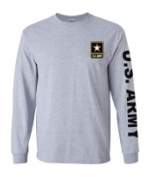 United States Army Long Sleeve Cotton Tee. 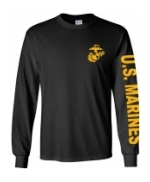 This long sleeve 6-ounce, 90/10 cotton/poly t-shirt has double-needle stitching throughout. 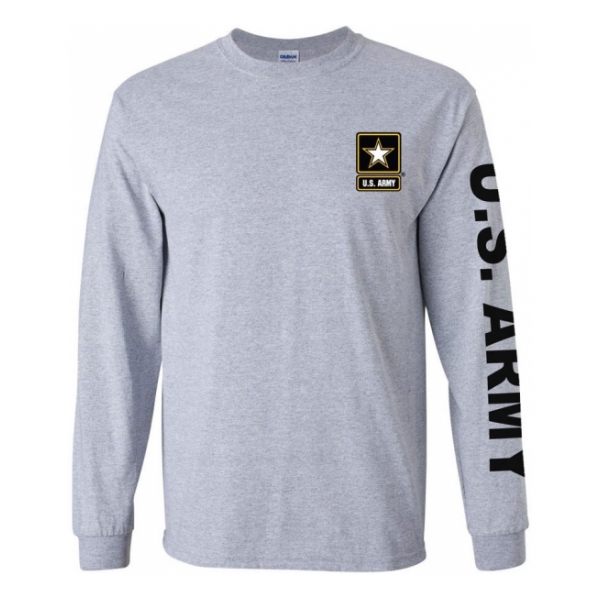 Designed with officially-licensed, 3 color Army logo on the left chest and "U.S. ARMY" running down the left sleeve, complete with Ribbed knit cuffs. Officially licensed by the United States Army. 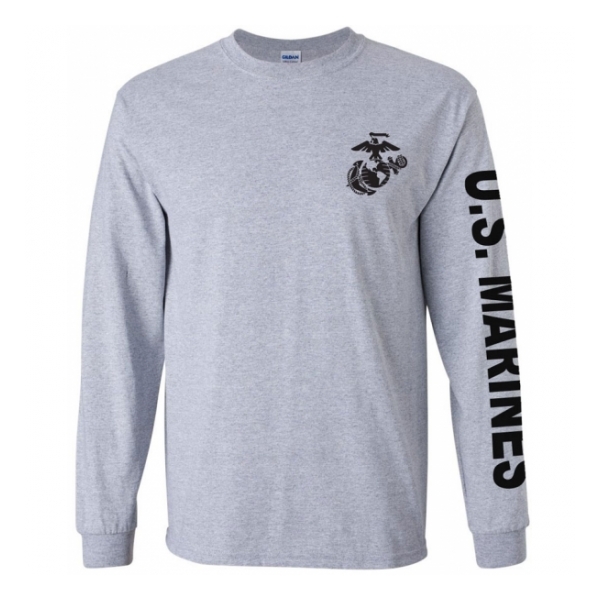 United States Marine Corps Long Sleeve Cotton Tee. 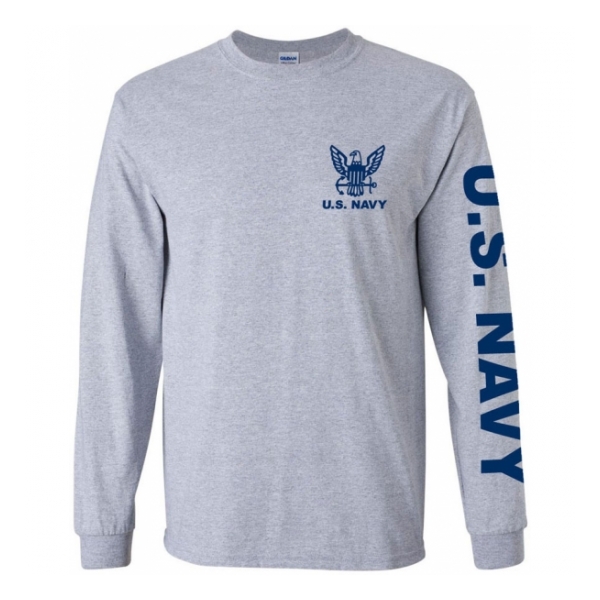 This long sleeve 6-ounce, 90/10 cotton/poly t-shirt has double-needle stitching throughout. Designed with officially-licensed Marine Corps logo on the left chest and "U.S. MARINES" running down the left sleeve, complete with Rib cuffs. Officially licensed by the United States Marine Corps. 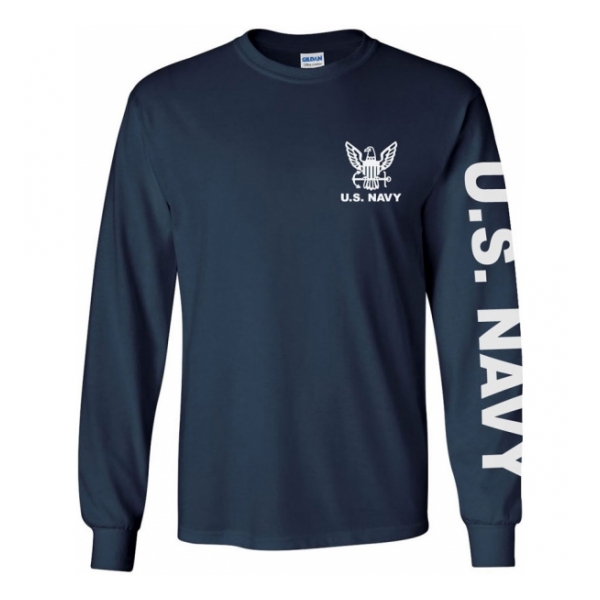 United States Navy Long Sleeve Cotton Tee. This long sleeve t-shirt is made of 100% preshrunk cotton and has double-needle stitching throughout. Designed with officially-licensed Navy logo on the left chest and "U.S. NAVY" running down the left sleeve, complete with Rib cuffs. Officially licensed by the United States Navy. 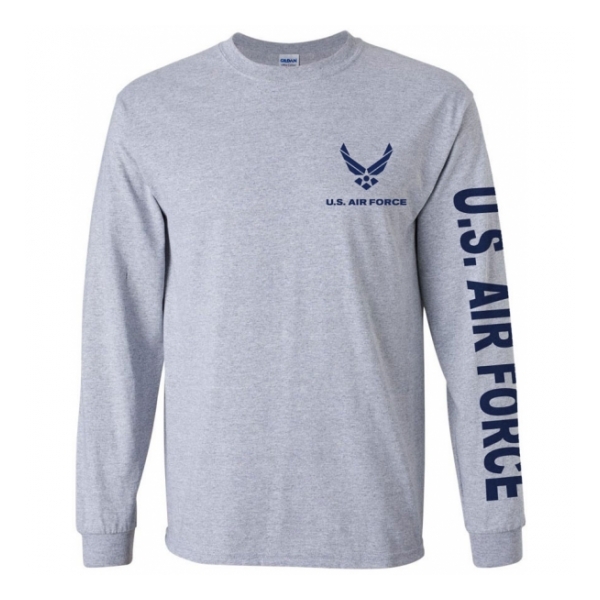 United States Air Force Long Sleeve Cotton Tee. This long sleeve t-shirt is made of 100% preshrunk cotton and has double-needle stitching throughout. Designed with officially-licensed Air Force logo on the left chest and "U.S. AIR FORCE" running down the left sleeve. Officially licensed by the United States Air Force. This long sleeve 90/10 cotton/poly jersey knit t-shirt has double-needle stitching throughout. 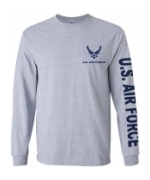 Designed with officially-licensed Air Force logo on the left chest and "U.S. AIR FORCE" running down the left sleeve, complete with Rib cuffs. Officially licensed by the United States Air Force.